In a major victory for environmental preservation, the European Union has announced a potential history-making ban on neonicotinoid pesticides that have been linked to the death of bees worldwide. As irritating as bees can be, everyone knows how essential these tiny insects are not only for flowers, but for the entire ecosystem and agricultural purposes at large. Unfortunately, the bee population has dropped dramatically over the last few years across the EU and the United States. There are multiple factors to consider, but one large factor is the use of bee-destroying pesticides. This is why the European Union has decided to heavily restrict the use of these pesticides on crops, despite being split on the decision among the states. Despite 15 nations voting against the ban, EU rules allow for a designated ruling body to enact limitations on the use of neonicotinoids. The EU commission may now put into effect a 2 year restriction on neonicotinoids found in pesticides – the chemicals responsible for harming bees. Furthermore, the UK won’t have the option to opt of of these restrictions (even though they voted against a ban due to ‘inconclusive scientific evidence’). “The European Commission will decide on the adoption of a proposal of restriction on use of 3 pesticides (nenicotinoids (NNI) – clothianidin, imidacloprid and thiametoxam) following vote in the Appeal Committee on April 29 2013 – where the proposal was supported by 15 Member States but did not reach a qualified majority,” a post reads on the European Commission website. Greenpeace EU agriculture policy director Marco Contiero said Monday’s vote “makes it crystal clear that there is overwhelming scientific, political and public support for a ban. Those countries opposing a ban have failed.” Indeed there is much scientific support for such a ban, or restrictions at the very least. 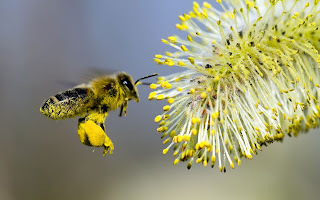 One report published by the European Food Safety Agency (EFSA) in January concluded that the pesticides posed a “high acute risk” to pollinators, including honeybees. This is actually the report that sparked the commissions action on the pesticides. Another study, led by biologists with the University of London, looked at what happened to bees in areas where different crops are sprayed with pesticides. All of the bees able to access the pesticides showed negative results. Colonies that had contact with imidacloprid (1 of the 3 neonicotinoids being restricted by the EU) were less likely to return to the nest after foraging. Also, the larvae in that colony was less likely to mature to adult bumblebees, suggesting the adult bees brought home the chemicals to the immature insects. “Our findings have clear implications for the conservation of insect pollinators in areas of agricultural intensification, particularly social bees, with their complex social organisation and dependence on a critical threshold of workers,” said researchers. Other research published in the American Chemical Society’s Environmental Science & Technology journal notes that an increase in bee deaths began to be observed as neonicotinoids were put into use. As research continues to come out linking neonicotinoids with the bee collapse, chemical companies and pesticide manufacturers continue to lobby the government with all of their might, arguing that the evidence is inconclusive and any ban would harm food production. They are obviously ignoring the multitude of studies linking pesticides with not only the bee collapse, but with the downfall of crop quality and human health as well.